Life insurance is one of those things that just about everyone needs but far too few people actually have. It’s easy to put off purchasing a policy when you’re young and relatively healthy. But the longer you wait, the greater the chances of something happening before you get yourself coverage. Maybe buying life insurance been on your to-do list for a while but you haven’t gotten around to it yet. Check out these 10 reasons why you can’t afford to wait any longer. Sadly, even a basic funeral service can run upwards of several thousand dollars. While it’s possible to pre-pay for your funeral, people don’t often think that far ahead. Pre-payment can ensure everything is in place for your loved ones after you die. However, there are risks to pre-payment. Life insurance can give you and your beneficiaries more of a guarantee, lifting a burden off of them as well as yourself. Just because you die doesn’t necessarily mean your debts will disappear. In the instance that you and your spouse have co-signed for a mortgage or other loans, your spouse may become entirely responsible for repayment. The other outcome could result in creditors trying to collect from your estate. While that gets rid of your debts, your heirs will receive the depleted remainder. Life insurance allows those you leave behind to take care of any lingering financial responsibilities. There are a number of ways to save money for your child’s education. You may not have thought that a life insurance policy would be a viable option. But insurance payouts can actually provide a good supplement your savings. If your child ends up borrowing money to get through school, the insurance proceeds could also help wipe out pesky student loans. 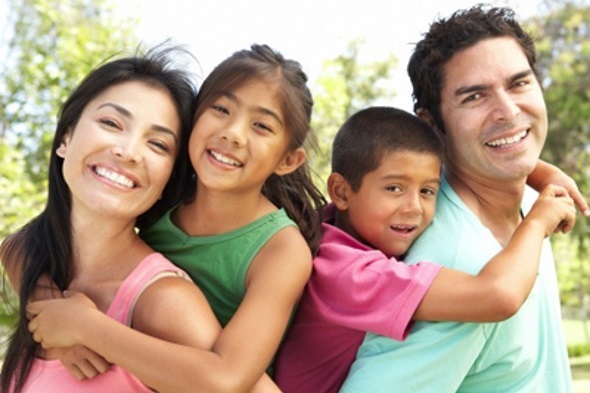 Term life insurance, a type of life insurance, stays in place for a set period of time. But another option, whole life insurance, provides permanent coverage that only ends if you cancel the policy. Whole life insurance allows you to build up cash value over time, an attractive prospect to any people. That cash value acts as an extra cushion that you can tap at any time. This may come in handy if you have a financial emergency down the road. One of the excuses people tend to make for not buying life insurance is the cost. But truthfully, coverage often ends up pretty affordable for most people. Term life tends to be less expensive than whole or universal life. Plus, the younger and healthier you are, the lower your premiums will be. Unless you smoke or have a preexisting health condition, you could find coverage for as little as $1 a day. Compare policies now to see your affordable options. Convinced that you need a life insurance policy? Check out life insurance quotes to find a policy that fits your needs. If you need more guidance, a financial advisor can help guide you towards your financial goals, including if and how the right life insurance policy fits in. A matching tool like SmartAsset’s can help you find a person to work with to meet your needs. First you’ll answer a series of questions about your situation and your goals. Then the program will narrow down your options to three fiduciaries who suit your needs. You can then read their profiles to learn more about them, interview them on the phone or in person and choose who to work with in the future. This allows you to find a good fit while the program does much of the hard work for you.